In the west we tend to think about the mask as something to hide behind, as if it were a tool to hide emotions, intentions or reactions. Nothing can be more wrong. The masks always tell the truth – it is the face we use when we lie. It is the face we can, or at least think we can, control. In other words what we express with our faces is what we want to express. And the biggest and most widely spread lie is politeness. Since most of us live in cities or towns we are a part of a community that we have to adapt to and then politeness becomes crucial to live smoothly and avoid conflicts. But the body (especially the torso) always reveals the real intentions or reactions. Not only that the body/torso is always much articulate than the face, and it becomes even more obvious when the face is not there to distract. We have all seen people trying to express something with their faces while their bodies reveal their real intentions. For those of you who have not I can strongly recommend political debates. One problem is that we tend to look at the face and believe that it is there the expression comes from, while it is the body/torso that gives the expression to the mask. I have written about that HERE where I also used a few examples. Another problem is when actors think they can hide behind the mask instead of working to “act through the mask”. Still the misconception is there. It is as if there is a focus of the fear for what we can’t see behind the mask instead of focusing on what the mask actually want to show. The mistrust becomes dominant. 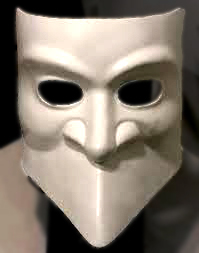 The mask becomes a symbol for falsehood and guile. Many are the proverbs coming from that, like: “who is behind the mask”, “he is just showing a mask” or “to tear the mask of someone’s face”. In fact the same misconception goes for all the three monotheistic religions, Christianity, Judaism and Islam. It has to do with the idea that when there is only one god there can only be one truth, just as those religions never can accept any other gods than their own. The polytheistic religions, on the other hand, are much more open to different and different levels of truths. This helps them to see the masks as tools for metamorphoses. When the actor puts on the mask of a character or a god he also becomes the mask he acts in, since both the audience and the actors are open for much more than just one truth. An old law from Venice from the thirteenth century, but with roots much older than that, said that it was forbidden to wear masks other than during the carnival. But that was not valid for the bauta. That mask was only used to hide the one that wore it, used by noblemen when they went to brothels, casinos or coffeehouses. 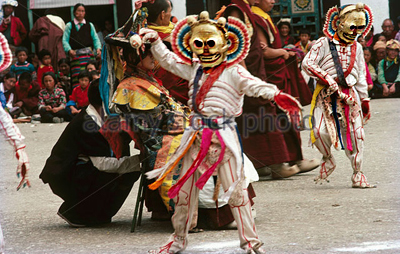 The reason other masks then the bauta were banned was that while wearing the masks the wearer could not be held responsible for their actions since they were not themselves. 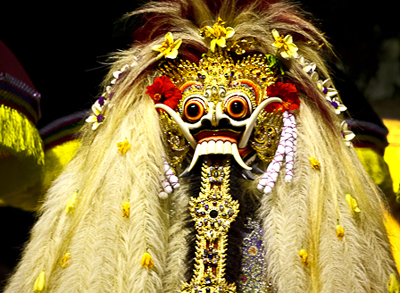 This entry was posted in Mask theatre and tagged bauta, blog, blogg, bodytakes, buffoon, buffoons, carnival, carnival mask, carnival masks, character masks, comedy, comedy masks, commedia, facemask, fixed masks, fools, full mask, half mask, jesters, Klingvall, Kompani Komedi, Kulturama, learning mask, mask, mask education, mask teacher, masks, Micke Klingvall, physical theatre, religion in theatre, religious mask, religious plays, renaissance, rite, rites, rituals, Teaterstudion, theatre, theatre masks, theatre school, theatre teacher, torso, vulgar, vulgar comedy, women in mask. Bookmark the permalink.